While the nation’s political class has been fixated on a potential government shutdown in Washington this week, the NSA has continued to spy on all Americans and by its ambiguity and shrewd silence seems to be acknowledging slowly that the scope of its spying is truly breathtaking. Last week we learned in a curious colloquy between members of the Senate Select Intelligence Committee and Gen. Keith Alexander and Deputy Attorney General James Cole that it is more likely than not that the FISA court has permitted the NSA to seize not only telephone, Internet and texting records, but also utility bills, credit card bills, banking records, social media records and digital images of mail, and that there is no upper limit on the number of Americans’ records seized or the nature of those records. The judges of the FISA court are sworn to secrecy. They can’t even possess the records of what they have done. 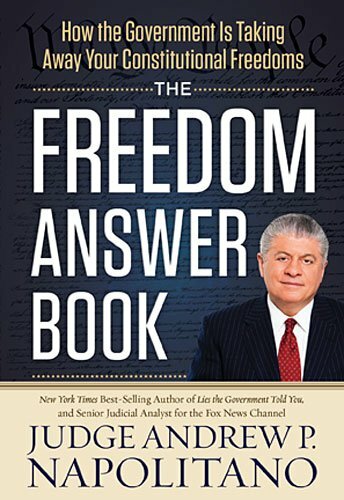 There is no case or The Freedom Answer Boo... Andrew P. Napolitano Best Price: $3.03 Buy New $6.74 (as of 06:35 EDT - Details) controversy before them. There is no one before them to oppose what the NSA seeks. They don’t listen to challenged testimony. All of this violates the Constitution because it requires a real case or controversy before the jurisdiction of federal courts may be invoked. So when a FISA court judge issues an opinion declaring that NSA agents may spy to their hearts’ content, such an opinion is meaningless because it did not emanate out of a case or controversy. It is merely self-serving rhetoric, unchallenged and untested by the adversarial process. Think about it: Without an adversary, who will challenge the NSA when it exceeds the “permission” given by the FISA court or when it spies in defiance of “permission” denied? Who will know? 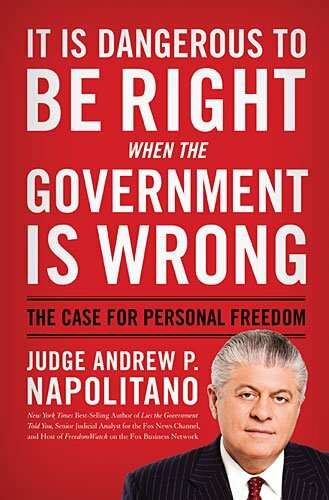 The traditional bar that the government must meet in order to begin gathering data on any of us is individualized articulable suspicion It Is Dangerous to Be ... Andrew P. Napolitano Best Price: $3.30 Buy New $8.00 (as of 04:10 EDT - Details) about criminal behavior. The purpose of that requirement is to prevent witch hunts and inquisitions and knocks on doors in the night. Without that bar, there are no limits as to whom the feds can pursue. What will become of us if the feds can watch our every move and hear our every conversation and learn our every expenditure and read our every email and find out what we eat and whom we love and how we live? There are well over 4,500 federal crimes. The feds can find something wrong that anyone has done. Stalin’s chief of secret police, the monster Lavrenti Beria, once famously proclaimed: “Show me the man and I will find you the crime.” History teaches that a government on a witch hunt, unconstrained by law or Constitution, will not stop until it can brand someone as a witch. And an unbridled inquisition will not stop until it finds a heretic. The Constitution simply never entrusted the people who run the government with this awesome power. Rather, in the Fourth Amendment, it prohibited it. If the right to life, liberty and the pursuit of happiness — which are the stated reasons for forming the United States of America in the first place — mean anything, they mean that we all possess the inalienable right to be different and the inalienable right to be left alone. Neither of these rights can be honored when the government knows all. And when the government knows all, and doesn’t like what it knows, we will have an authoritarian state far more odious than any history has ever known. 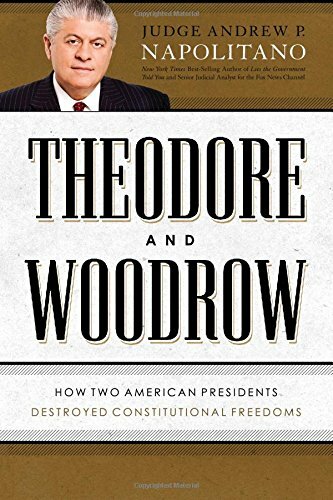 Previous article by Andrew P. Napolitano: Is It Pre-Nazi, Pre-Soviet? Can There Be a ‘Just Tax’?